Now some important points . 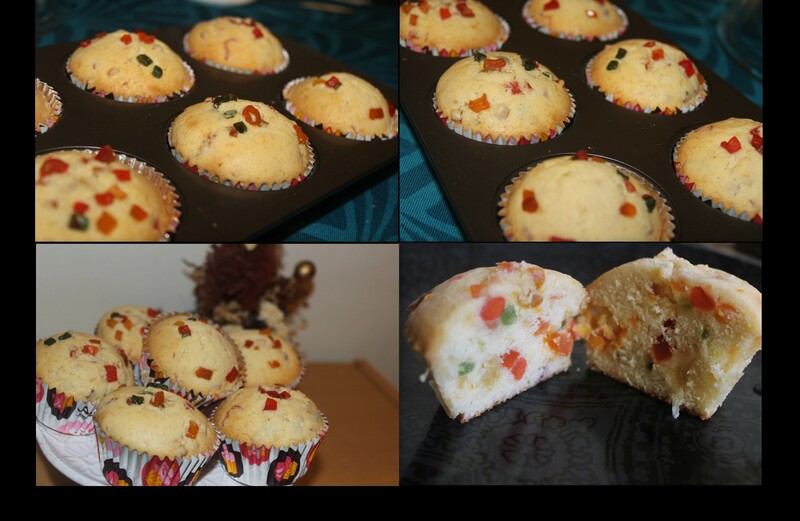 Cupcakes or muffins are baked faster than the cake . So Bake for 20-25 minutes or until if a toothpick inserted comes out clean . Each oven is different , time may vary ,so keep an eye on the cupcakes while it is in the oven. where can i get Tutti frutti ? is there any other name for this?